Web design is both an art and a science. It takes some creativity and an eye for design, as well as some technical know-how. 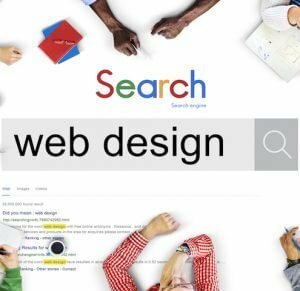 Making your website attractive, useful, and user-friendly is not difficult if you follow the basic guidelines of web design. Here are four of the most common mistakes made by beginning web designers, and how to avoid these pitfalls. Reading a web page should not be like reading a book – people tend to scan web pages for the most important or interesting information, and then decide whether to keep reading or move on to the next website. Break up website text using visual tricks like short paragraphs, sub headers, and bulleted lists. This formatting improvement will help retain your readers’ attention, keep them on your website for longer, and hopefully convert them into customers. If your text is difficult to read, nobody is going to stick around to decipher it. There are lots of other, more reader-friendly options available in the search results screen. Remember, newspapers are written for an 8th grade vocabulary for good reason, so don’t make the verbiage on your website too complex for your readers. Don’t make your readers guess where the good information is hidden on your website. If your readers can’t find the information they are looking for pretty quickly, they won’t waste another moment on your website. Give each web page an appropriate title, organize information in a logical manner, and put a search box on the homepage (which is surprisingly simple to do). Making it easy to locate the desired information will keep your visitors on your website longer, and makes it more likely that they will be converted into customers. Some creativity is necessary for producing an interesting website, but too much creativity in web design will just confuse and repel readers. There is a basic formula for web design, and you should stick to it. Each page on your website should be laid out consistently; this helps maintain a seamless flow for a visitor who is browsing your pages. Avoid uncommon fonts and pay attention to your color scheme; if your background is blue, make sure all the text and links on that page are NOT blue. Too many flashy ads and pop-ups can also be distracting and prevent your readers from actually reading about your products or services. Follow the basic standards of web design, and you’ll keep your visitors around longer. All of this boils down to keeping it simple. It can be tricky to balance on that fine line between a creative website and a confusing one. Follow our advice above, and you will be well on your way to a user-friendly web design that attracts and retains readers, and converts them into customers. To learn more about web design methods or any of our other services, call PersistSEO at 770.580.3736.